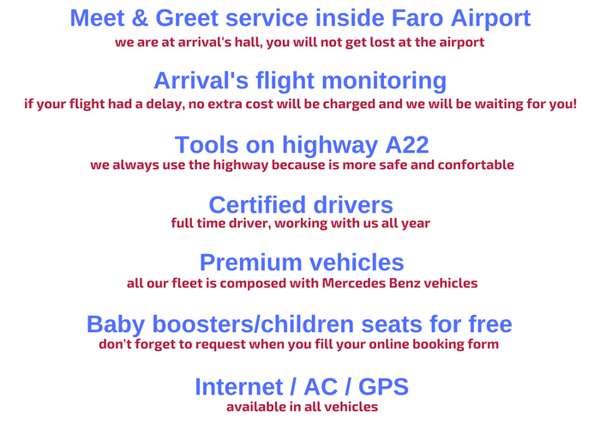 We provide direct transfers from Faro Airport to any hotel, resort, holiday villa or local in Albufeira area. Some Hotels and Resorts available in Albufeira area. The origin of the word comes from the Arabic Albufeira البحيرة word (al-Buħayra), which means the lagoon or the sea, or, according to other experts, the sea castle, offering up towering and amphitheater on the sea. Arab period endure the narrow streets, the old castle and the white houses with their flat roofs and arches. 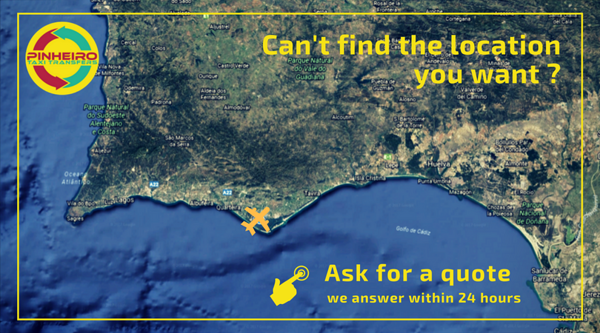 With most visitors coming through from Faro Airport, the main points of interest are the historical center of Albufeira and Oura / Areias de S. João. The Old Town is situated right at the seafront and is predominantly a pedestrian area. Street-artists entertain the crowds and there is an large choice of restaurants, bars and shops in Albufeira. There are open-air discothèques and many bars that have a live band every night. In Areias de São João/Oura area, known colloquially as 'The Strip', which is full of bars, restaurants and open-air discothèques. It is not a pedestrian street so cars pass through the crowd at all hours. It is a very nightlife oriented area, very popular with young people. Despite the modern achievements and the millions of tourists that visit every year, Albufeira has maintained its Moorish feel and is still the fisherman's village it has always been. With about 30km of coastline, Albufeira is a great tourist destination where we can find some of the best known beaches in the Algarve and Portugal. In the 2017 bathing season, Albufeira has returned to win the Blue Flag and Golden Flag of Europe award which rewards the water quality of the beaches. Near Albufeira, you can find more than 20 beautiful beaches with a amazing water quality, such as: Açoteias, Alfamar, Arrifes, Aveiros, Barranco das Belharucas, Castelo, Coelha, Evaristo, Falésia, Forte de São João, Galé, Inatel, Manuel Lourenço, Maria Luísa, Olhos De Água, Oura, Peneco, Pescadores, Rocha Baixinha, Salgados, Santa Eulália, São Rafael.